Megan Gailey is a writer, actor, and stand-up comic, now based in Los Angeles. 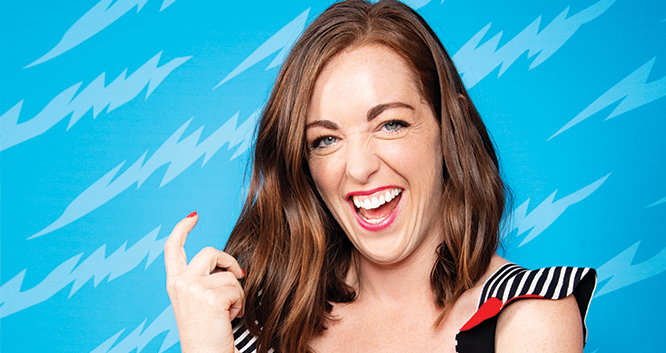 Since being named a “New Face” at the Just For Laughs Festival in 2015, and her subsequent stand-up television debut on “Conan,” Megan has been headlining clubs, colleges, and festivals across the country. Megan is currently a co-host of the Crooked Media podcast, Hysteria, and the co-host of the NFL Twitter show, “The Checkdown.” Megan wrote for the 2017 and 2018 ESPY Awards, for the MTV series, LADYLIKE, and for the Comedy Central pilots, SIDELINERS and SPADE. Megan’s half hour stand-up special for Comedy Central will air this month.